Although we're proud of our products, services, and technology, nothing matches the pride we have in our staff. You see, we learned long ago that we're really in the business of building relationships. We are a family business dedicated to providing you the best in service and quality for years to come. 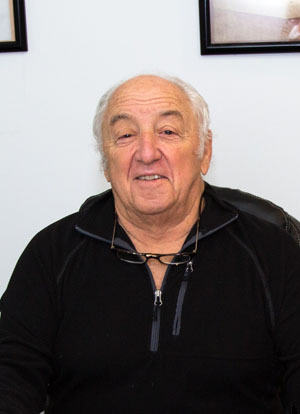 Joe started Presto Print & Copy Center in 1976. He has been the heart and soul of Presto. He has grown this printing business from one small press and a few manual machines to much larger color presses and automated equipment. Joe is no longer in the shop on a day-to-day basis, but he comes in to crack the whip a few times a month. The employees of Presto Print admire Joe for bringing an attitude of pride and dedication to the shop. Matt has been an integral part of Presto Print since 1996. He is Presto's front-man, taking care of customers, from answering phones, emails, giving estimates, helping customers at the counter and taking care of the daily business. Matt is always excited to visit with you at your office, he can help you with any printing project, from design to finishing. 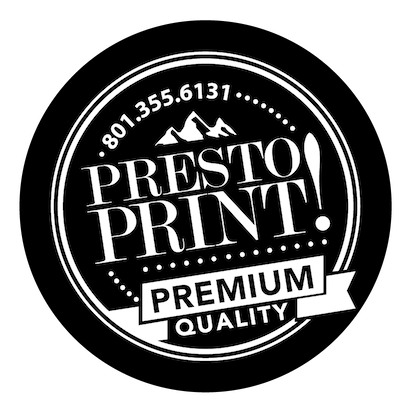 Matt is taking Presto Print to the next level, including great customer service, quality offset & digital printing and fast friendly delivery. 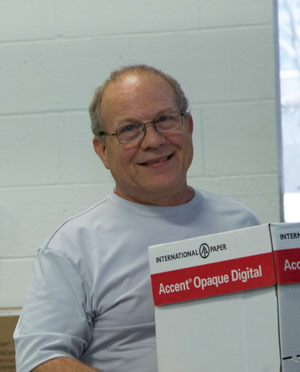 Dave is in charge of our digital print department, operating both the color and black and white digital presses. His education and experience will be evident in the quality of the jobs he prints. He is efi certified and has the certificate to prove it. 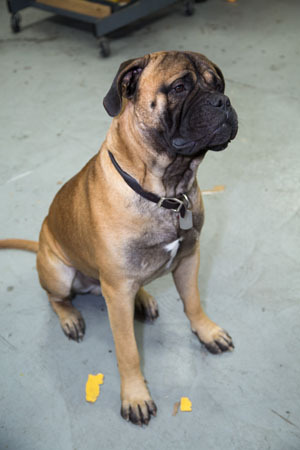 Dave is an enthusiastic and delightful member of the Presto Print team. Dave has been in the printing business since 1974! 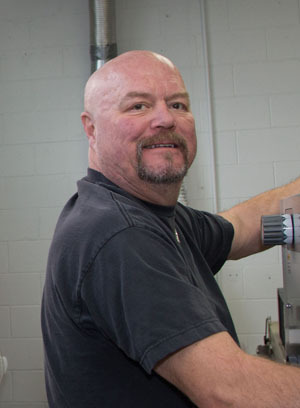 Mike is our lead pressman, he runs our 4 Color DI press and the 2 color press. Mike has been in the printing industry for 26 years . We appreciate all that he does, both running the press and working hard every day. Maite is our Spanish translator and can help with taking your orders for anything you need printed. Not enough can be said about our adorable Maite! She's works hard, keeps the crew upbeat and positive. 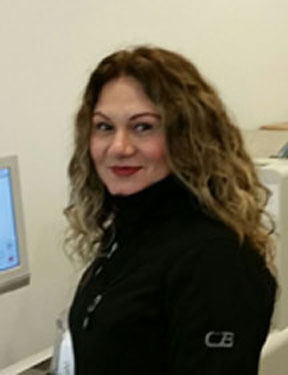 Maite does it all - from bindery to cutting, mailing to folding! What would we do without her? She has been in the printing business since 2002. 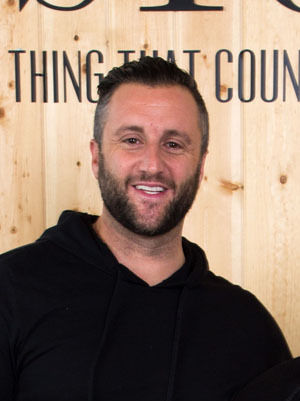 Ryan has been in the printing business since 1996, he is very knowledgable on all types of printing process and familiar with most paper stocks. Ryan is our front counter customer service guru, he will follow your order from start to finish including job estimating. Presto Print is very glad to have a dedicated employee at our front counter. 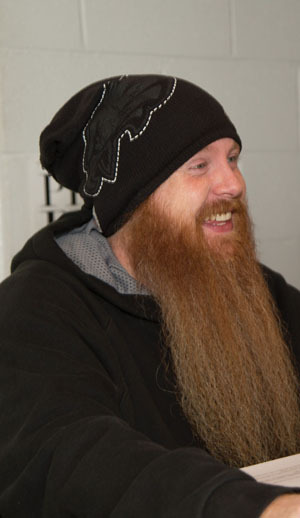 Ryan has the longest beard in the shop, and has an awesome family he truly adores. 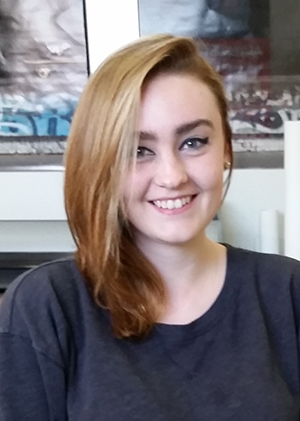 Jordan, is our new Graphic Designer and Prepress. Need something designed or files fixed, she's the one!